MAHADMA Admit Card 2018 will be available on 4th May 2018 at the official website of the Directorate of Municipal Administration Maharashtra. The MAHADMA board authority decided to conduct the MAHADMA Preliminary Examination for the Civil Engineer, Electrical Engineer, Computer Engineer, Hydraulics and Hygiene Engineer, Tax assessment & Administrative officer, Accountant/Auditor positions on 18th May 2018. The Maharashtra Tax Assessment, Accountant Hall Ticket 2018 is a mandatory document for the MAHADMA Examination 2018. No candidate will allow to enter the examination hall without a print out of a valid admit card. So all the applicants must and should download the MAHADMA Admit Card 2018 and carry it for the examination hall. The Maharashtra Tax Assessment, Accountant Hall Ticket 2018 contains examination date, reporting time, examination venue, and applicant related information. The exam participants should get the MAHADMA Admit Card 2018 from the official website which is available at the end of this post. Aspirants should read this article throughly and capture all needful information about the MAHADMA Admit Card 2018. Aspirants can find out the overview about the MAHADMA Admit Card 2018 from this page. The Directorate of Municipal Administration Maharashtra has published a recruitment notification for the 1856 vacancies of Civil Engineer, Electrical Engineer, Computer Engineer, Hydraulics and Hygiene Engineer, Tax assessment & Administrative officer, Accountant/Auditor posts. The MAHADMA officers ready to hire the skillful and talented candidates to fill up various vacancies in their organization. A considerable number of candidates are showing much more interest in this MAHADMA Recruitment 2018. For this MAHADMA vacancies application process started on 7th April 2018 and the application process end date on 27th April 2018. All the job seekers should utilize this golden opportunity and apply for the MAHADMA Recruitment 2018 on or before 27th April 2018. The Directorate of Municipal Administration Maharashtra board officers are going to conduct the MAHADMA Preliminary Examination on 18th May 2018. For this examination, the MAHADMA management will disclose the MAHADMA Admit Card 2018 on 4th May 2018 at their authorized website that is mahadma.maharashtra.gov.in. So all the applicants should get the Maharashtra Tax Assessment, Accountant Hall Ticket 2018 by providing the login credential information. Aspirants who applied for the 1856 vacancies of Civil Engineer, Electrical Engineer, Computer Engineer, Hydraulics and Hygiene Engineer, Tax assessment & Administrative officer, Accountant/Auditor posts, they should prepare well for the MAHADMA Examination 2018. There is a limited time for the MAHADMA Examination 2018, so all the applicants without wasting your valuable time must concentrate on your preparation. For the better preparation, competitors should practice more MAHADMA sample papers. Through our website, we had provided complete information about the MAHADMA syllabus, exam pattern and previous papers. So all the exam participants should collect that information and do more hard for the examination to get highest marks. The MAHADMA Admit Card 2018 exact link will upload on this page, after Directorate of Municipal Administration Maharashtra official declaration. Aspirants keep in touch with this website Sarkari Recruitment to know genuine information about the Maharashtra Tax Assessment, Accountant Hall Ticket 2018. The MAHADMA selection process contains Online Written Test (Preliminary & Main Examination) & Interview. Aspirants who will clear the Preliminary Examination, they have to face the Mains Examination. Competitors who will give the best performance in the Main Examination, they will promote to the next selection round Interview. Selected applicants will get the best and impressive salary package from the Directorate of Municipal Administration Maharashtra organization. 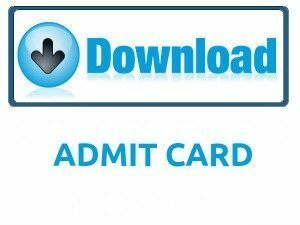 The MAHADMA Admit Card 2018 contains the following information. At the time of downloading the Admit Card, contenders should cross-check all available information on the Maharashtra Tax Assessment, Accountant Hall Ticket 2018. If any corrections essentail then inform to the higher officers. As we all know at every competitive examination, the Admit Card/ Hall Ticket will play a significant role. The MAHADMA Admit Card 2018 is an integral part of the exam. The Directorate of Municipal Administration Maharashtra officers will print all vital information about the test and relevant information about the applicant. With the help of the Maharashtra Tax Assessment, Accountant Hall Ticket 2018, the exam invigilator can quickly identify the applicant. The exam participants will get an idea of the examination venue, exam date and time by referring the MAHADMA Admit Card 2018. Candidates who will forget to carry the MAHADMA Admit Card 2018, they will not permit to sit in examination hall to write the examination. So candidates without negligence must download the MAHADMA Admit Card 2018 and attened for the exam on 18th May 2018. Candidates if you have any doubt about this post then you can also check with the official website of the Directorate of Municipal Administration Maharashtra. Candidates should follow the below-provided steps to download the Maharashtra Tax Assessment, Accountant Hall Ticket 2018 from the official website. First of all, aspirants should visit official website mahadma.maharashtra.gov.in. Find the MAHADMA Admit Card 2018 notification link on the home page. A page will open on the screen regarding login details. After entering Application Number/User ID, DOB/Password click on submit option. MAHADMA Admit Card 2018 will appear on the screen. Check the Admit Card and take a print out for further reference. We ensure the above-provided information is fair enough for all the applicants. For knowing the frequent updates about the MAHADMA Admit Card 2018, candidates should bookmark this webpage Sarkarirecruitment.com.